Subscription models have become a massive trend throughout a number of businesses. There’s big ones like Netflix or The New York Times, but there are also plenty of smaller companies using subscription models to create communities of dedicated members and add paid access to premium content. But how do you make it work? It’s not easy, but at We Are Podcast 2016, we held a panel where several experts talked about how they have personally monetised successful subscription models. Here are a few of their key points of advice. Forums, Facebook groups — it’s all good. Make sure there is some way that members can interact with other members so they don’t just feel like they’re part of some ambiguous group. If there is real engagement and human interaction, they’ll be more likely to stay. It’s a bit of a left-field idea, but some people add waiting lists to their subscription models. For example, you may need to pay $10 and then wait 21 days before you join the group. Why do this? It adds quality members to your group, those that will actually stick around and participate, rather than join for two months and quit. Marketing for events is expensive and difficult, but you can use a membership model to skip the hassle. Use your memberships to get people to come to workshops or other events that you might be holding. Then, you don’t need to go out and find people to come to your events, because you’ve already got a cohort of loyal, interested members. 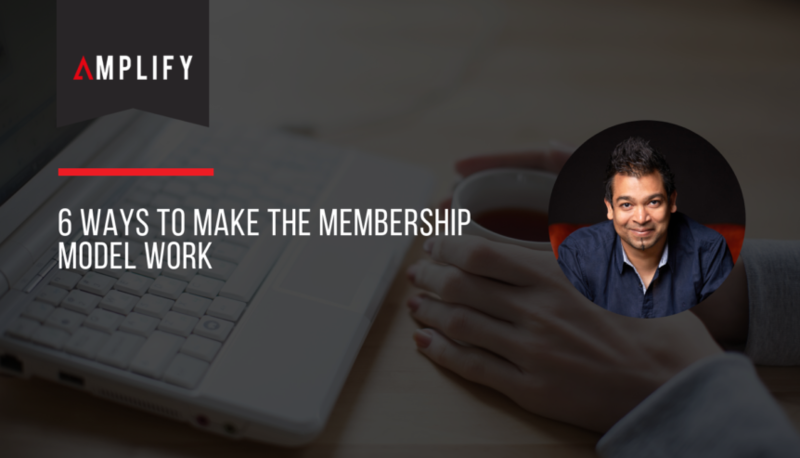 Memberships are a great way to keep people loyal to your brand. If they are paying monthly for your service, communicating with community members and constantly engaging with your product, they are more likely to be recommending your brand to their friends. That effort that they put into your community is going to create a shared bond between group members and keep them glued to your company. When you have groups, it’s critical that you facilitate collaboration and involvement. Ask questions — it can be as simple as asking people what they’re grateful for on one day, or asking how you can improve your product on another day. Participation is key, as members who barely use your membership model will quickly cancel. Internet groups always have a certain danger to them, as anonymity lets people be rude without any accountability. But here’s an idea: have your members use their real name and a real photo of them when creating a profile in your community. Then, they are much less likely to be abusive to other members, creating a safe and happy community.